Fushimi is an area in Kyoto known for having a wealth of sake breweries. My friend offered to show me around, and so we went from brewery to brewery trying different kinds of sake. 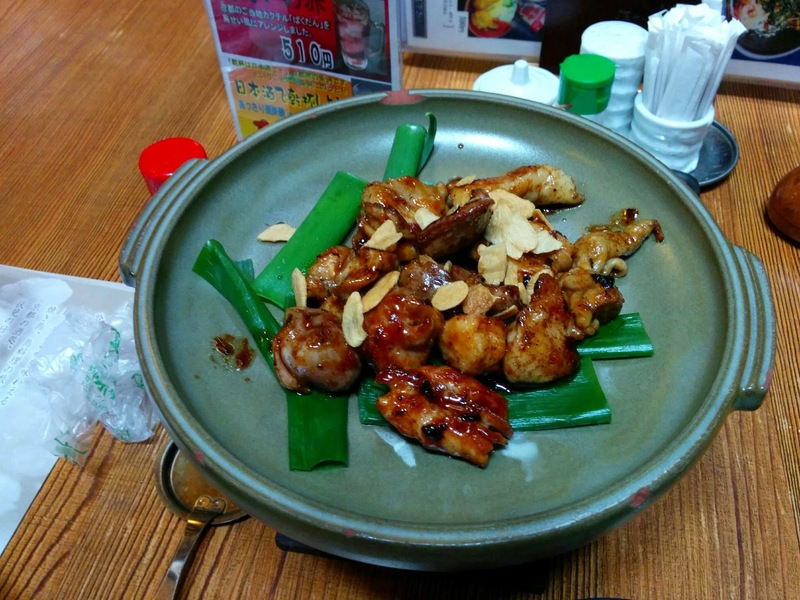 Somewhere in the midst of our day drunkenness we needed to eat, so he took me to famous chicken izakaya Torisei. We got a couple grilled chicken dishes, but of course we needed to try the chicken ramen as well. The ramen was a cloudy, flavorful chicken broth, with thin but chewy noodles. Completing the theme, in place of pork chashu were pieces of yakitori. There were kikurage mushrooms, menma, bean sprouts, and green onions as well. It was simple, but great for what it was. Yeah, if I was in the area. Yes, while you're in the area sake tasting.